Divine Protection Part 1 — Go to Heaven Now! 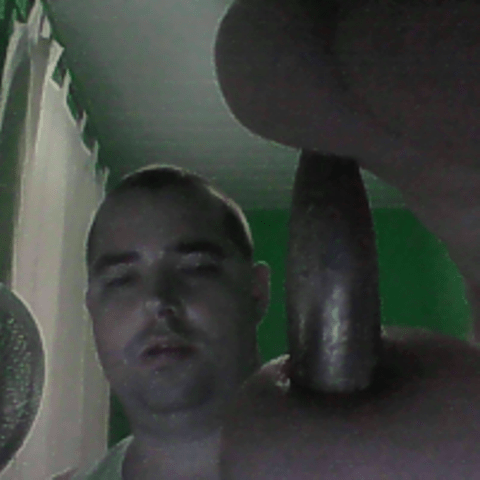 This is a bullet that came flying through our window and curtain, hitting the wall near our bedroom door. Two weeks ago, in Experiencing God’s Goodness In The Midst Of Tragedy, I began the first in a series of posts about some truths that have been highlighted to me in the midst of violence and tragedy. Last week, in I Will Sing Your Praise Before The “Gods”, I wrote more about the dangers and threats that we have confronted. I didn’t even mention the cars and buses being set on fire, or the time my wife was at gunpoint. I have read testimonies of supernatural protection before, and had some experience with it myself. Some people may feel like talking about divine protection through faith is disparaging to the faith of Christian martyrs and the persecuted church. It seems offensive to talk about divine protection when we see Christians dying. Yet the bible talks about the faith of those who shut the mouths of lions and escaped the edge of the sword, as well as the faith of those who were killed by the sword. (Hebrews 11:32-39). I honor the faith of those who have suffered and even given their lives for the gospel. Yet I know that scripture also talks of divine protection in real physical situations, not just spiritual ones. We can’t ignore that. King David was surrounded by real armies trying to kill him. So was Elisha. So I decided to do a few posts about my experiences with God’s protection, thoughts from scripture, and other outstanding testimonies of supernatural protection. In this first part, I’ll share thoughts about the fear of the Lord and angels. In the next part, I’ll share some personal experiences with danger being averted through prayer or acting on the Lord’s direction. Then we will talk about overcoming evil with the goodness of God. I will talk about attacks being averted by a sudden change of heart, by attackers falling on the ground and being delivered from demons, by believers be transported out of danger by angels, by miracles, and by a cloud of God’s glory covering the believer. Finally, we will cover protection from poison and from disease, with more testimonies. In last weeks post we talked about refusing to let false gods capture our attention through fear. Instead, our attention should be captured by the goodness of the Lord. This is called “the fear of the Lord”. The fear of the Lord seems to be a key in scripture to experiencing supernatural protection. Psalm 34:7 (NRSV) The angel of the Lord encamps around those who fear him, and delivers them. 2 Kings 6:15-19 (NRSV) When an attendant of the man of God rose early in the morning and went out, an army with horses and chariots was all around the city. His servant said, “Alas, master! What shall we do?” He replied, “Do not be afraid, for there are more with us than there are with them.” Then Elisha prayed: “O Lord, please open his eyes that he may see.” So the Lord opened the eyes of the servant, and he saw; the mountain was full of horses and chariots of fire all around Elisha. When the Arameans came down against him, Elisha prayed to the Lord, and said, “Strike this people, please, with blindness.” So he struck them with blindness as Elisha had asked. Elisha said to them, “This is not the way, and this is not the city; follow me, and I will bring you to the man whom you seek.” And he led them to Samaria. Because Elisha feared the Lord and he fear of enemy armies didn’t capture his attention, he was able to see from God’s perspective and to see angelic activity. We should expect the same thing, because scripture promises that the angel of the Lord will encamp around those who fear him. Even before Jesus was crucified, he could have asked and the Father would have sent more than 12 legions of angels to save him. Nobody took his life from him, but he laid it down for us! Matthew 26:53 (NRSV) Do you think that I cannot appeal to my Father, and he will at once send me more than twelve legions of angels? This is important, because when our eyes are opened to see from God’s perspective, we know how to partner with what God is doing. If Elisha hadn’t seen the angels but instead had been crippled in fear of the armies surrounding him, he would not have asked the Lord with confidence “Strike this people, please, with blindness”. Violent people prey on fear. They can smell it. But we read often in the Old Testament of the Lord causing Israel’s enemies to fear them. When we walk in the fear of the Lord, we stop smelling like fear, and the Lord will cause those who want to hurt us to be afraid of us. When we see from God’s perspective, we know what to do. Sometimes the Lord may tell us to flee. Joseph was warned in a dream to flee to Egypt to escape the threat against Jesus’ life. (Matthew 2:13) Sometimes the Lord will cause our enemies to become paralyzed in fear of us, as he caused the Egyptians to fear the Israelites. (Exodus 23:27) Or he may cause us to slip through them, as Jesus simply slipped through a crowd of people who wanted to kill him. (Luke 4:28-30) He can also reveal that people intend to harm us, so that the danger can be averted through prayer. 2 Thessalonians 3:2 (NIV) And pray that we may be delivered from wicked and evil people, for not everyone has faith. Recently, my wife and I wondered for a while if we were going to have to flee for our lives, but we weren’t sure where we could go or what we could do. We were not in a position to go anywhere else. We were in a very dangerous situation and felt distress. Criminals were angry at us for protecting an old man who they assaulted. In Brazil, calling the police doesn’t always offer much protection, even if they do show up. Psalm 3:5-6 I lie down and sleep; I wake again, because the Lord sustains me. I will not fear though tens of thousands assail me on every side. Psalm 27:2-3 When the wicked advance against me to devour me, it is my enemies and my foes who will stumble and fall. Though an army besiege me, my heart will not fear; though war break out against me, even then I will be confident. I could now relate to David’s words. I felt in my heart that the Lord had answered the prayers of those who prayed for us, and we were surrounded by angels. I felt peace and confidence, awareness of the Lord’s presence surrounding us. Now, the attention is off of us, and I believe that those who wanted to harm us have become afraid of us. There is still a lot of crime and violence around us, but I believe that the Lord has delivered us from the situation we were in. Not long after this, I went to a prayer meeting on Monday night. One of the ladies there said that she saw a bright light around my daughter Rebekah and I. She saw that I was protecting Rebekah. And she didn’t know of the threat we had received. Although I did not see the same thing with my physical eyes, I was aware of it as well. The Lord had sent his angel to protect us. This post has already gotten long enough, so more next week! Meanwhile, be encouraged by the promises of scripture in Psalm 91.